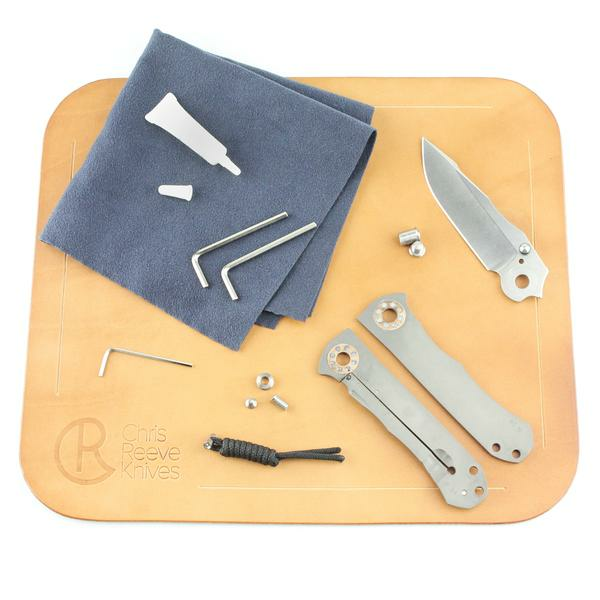 Get to work on your favorite sebenza or inkosi with this leather mat! It is a high-quality addition to your knife station or can serve as a valet tray for your countertop. Each rectangular mat is handmade in the USA by G'Feller Casemakers and features the highest quality thick natural tan leather. G'Feller is an Idaho-based leather working company that for many years has crafted Chris Reeve Knives' leather sheaths for fixed blades and folding knives. 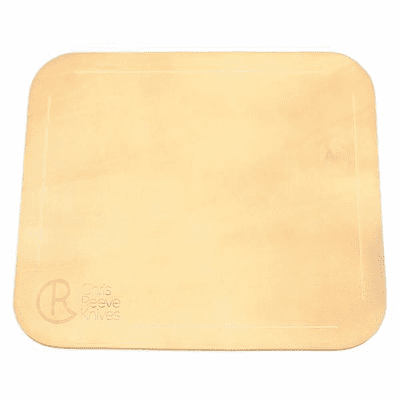 Each mat is stamped with the CRK logo and board trim that will help keep screws and parts from rolling away. 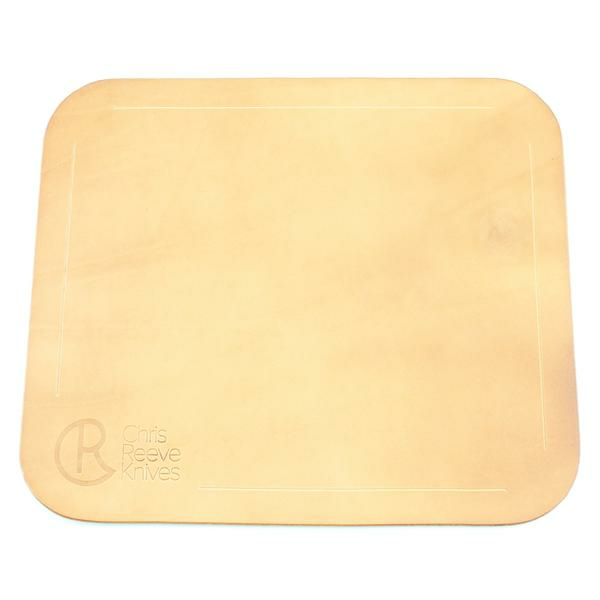 The little touches like the masculine natural leather color and rounded edges make this mat worthy of your fine collection. The work mat is an ample size at 12"x 10.5" for all maintenance tasks along with assembly and disassembly.